A veteran journalist continues his “exhaustively researched” (The Guardian) investigation of Dominique Strauss-Kahn. + Don’t have an e-reader? Purchase the epub file on this page, and use Abode Digital Editions (free) to read Three Days in May on your computer. + Excerpts and coverage in The Guardian: here, here, and here. Here investigative reporter Edward Jay Epstein casts fresh doubt on the events surrounding a now-infamous sexual encounter between Dominique Strauss-Kahn—better know by his initials, “DSK”—and a maid at New York’s Sofitel hotel. Epstein shows that DSK, then managing director at the IMF and a leading contender to unseat Nicolas Sarkozy as president of France, was under close surveillance both before and after the incident. Just two days before, French authorities intercepted a sensitive phone conversation with DSK in Washington, DC. It looks as if he was carrying his own bug: a smart phone. The surveillance also continued to New York: as Epstein discovers, the staff of the Sofitel can be seen watching DSK throughout his stay. Also examined is DSK’s BlackBerry cell phone, which was likely compromised by French intelligence. Just before DSK left the Sofitel, the phone went missing, and it has never been found. The book also contains a collection of essential documents related to the case, including key-card records (tracking who entered DSK’s suite) and never-before-released CCTV surveillance footage. DSK also goes on the record about the case for the first time with an American journalist. 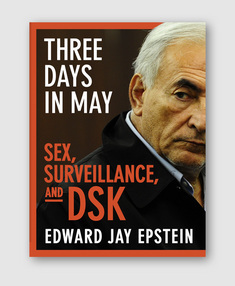 Epstein shows that if there was a conspiracy against DSK, as many now believe, it was an after-the-fact one in which DSK’s political opponents learned of the sexual incident at the Sofitel through surveillance and shaped it into a major scandal that changed the course of French politics. EDWARD J. EPSTEIN studied government at Cornell and Harvard universities and received a Ph.D. from Harvard in 1973. His master’s thesis on the search for political truth (Inquest: The Warren Commission and the Establishment of Truth) and his doctoral dissertation on television news (News from Nowhere) were both published. 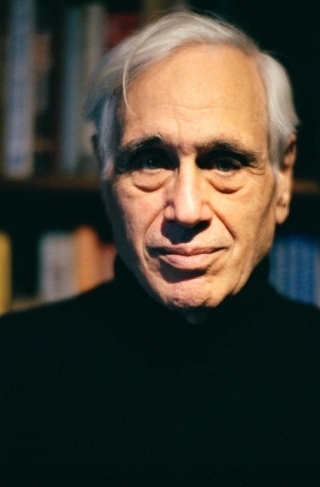 He taught political science at MIT and UCLA but decided that writing books was a more educational enterprise. The Hollywood Economist, which originated as a column on Slate, is his fourteenth book. He lives in New York City.